Untitled Ilayathalapathy Vijay's 59th film is gearing up to hit the floors. To be directed by Atlee, Vijay 59 will be launched this Friday, on 26th June. After Vijay, director Atlee to follow his Raja Rani sentiment for Vijay 59. As KollyInsider reported viewers earlier, untitled Vijay starrer will go on floors at Adityaram Studios, where the actor shot for his Puli. Now, Atlee has planned the Vijay 59 pooja ceremony in Kerala House, in ECR, where Raja Rani pooja was held. Samantha will play Vijay's love interest in untitled Atlee directorial, post their successful screen presence in Kaththi. Amy Jackson is the other heroine in this V Creations production film. 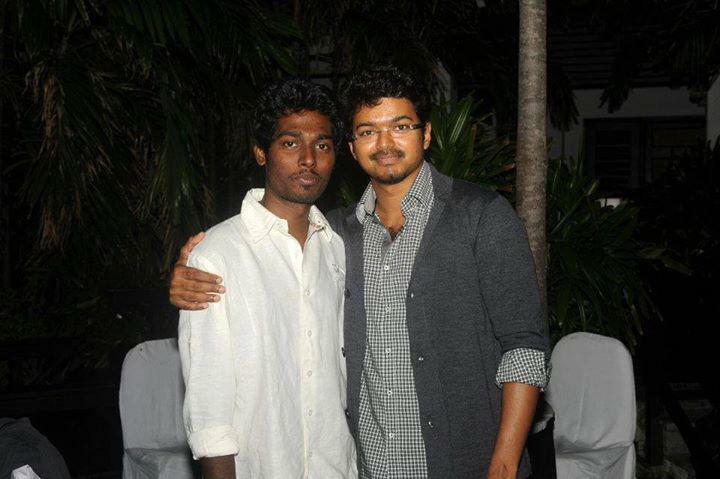 Kalaipuli S Thanu producing Vijay 59 crew includes Music: GV Prakash, Editor: Anthony L Ruben.